For the Supertrash Film Festival, artists were invited to create an original poster for the trashy movie of their choice. 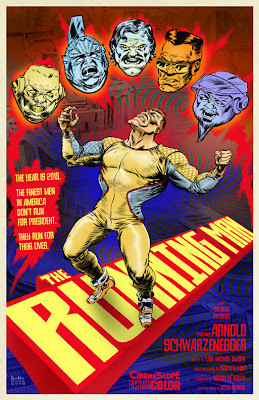 I chose to do The Running Man, and I tried to add a little 80's flavor to the design. I guess this is what the film would have looked like if it were animated. Later this year, the posters from this show will be collected and published into a book.